Love is all you need. It’s been said many times and many ways of course, but it’s truer now than ever. 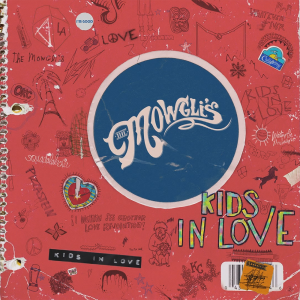 When The Mowgli‘s first landed on the scene, their message of positivity and love resonated with audiences everywhere. The group’s 2013 major label debut, Waiting for the Dawn [Photo Finish], debuted at #4 on the Billboard Heatseekers Chart and yielded the hit “San Francisco“. Following its release, the seven-piece—Colin Louis Dieden [vocals, guitar], Katie Jayne Earl [vocals, percussion], Dave Appelbaum [keyboards], Josh Hogan [guitar, vocals], Matthew Di Panni [bass], Spencer Trent [guitar, vocals], and Andy Warren [drums]—performed on Jimmy Kimmel LIVE!, The Tonight Show with Jay Leno, CONAN, Watch What Happens Live, and more. Between headline tours and runs supporting everybody from Walk The Moon to Manchester Orchestra, they even cut a song for the Relativity Media hit film, Earth To Echo. Along the way, their interpretation of love became even clearer, and it defines their sophomore outing, Kids In Love. In order to properly convey that sentiment, the group teamed up with producer Tony Hoffer [The Kooks, Silversun Pickups, Fitz & The Tantrums] in his Los Angeles studio during the summer of 2014. With Hoffer at the helm, they fine-tuned their sound into an elegant amalgam of influences. Additionally, they recorded with prior collaborators Captain Cuts [Smallpools, Tove Lo] – a production team that includes Ryan Rabin of Grouplove, and worked with Matt Radosevich [Walk The Moon, One Direction] on two additional tracks. Ultimately, The Mowgli’s open up their hearts once more, and the results are nothing short of inspiring. 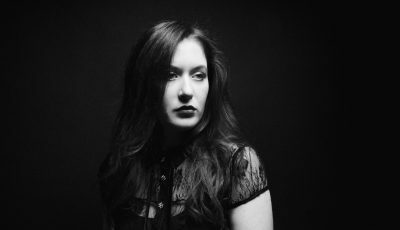 All Access Music writer, Nicole DeRosa got to catch up with Katie Mowgli between shows. Read more in their chat below! Hey there Katie! How are you today? What’s on the agenda today besides our interview? Right now we are setting up for soundcheck in Des Moines and then we’ll kill a few hours before we play. It’s pretty much our daily routine. First off, how was BottleRock Napa? Did you have a chance to check out the other bands and eat some good food & drink some delicious wine? Bottle Rock was amazing. Everything we ate was awesome (all the cheeses in particular) and we drank what I’m gonna say was TOO much wine. The weather was gorgeous and we caught up with a lot of friends. It was almost like a reunion. We caught some Public Enemy which ruled, and I heard some of Zella day’s set while I was doing press. It was a beautiful day all around. We wish we could have stayed all weekend. I would have died to see No Doubt. 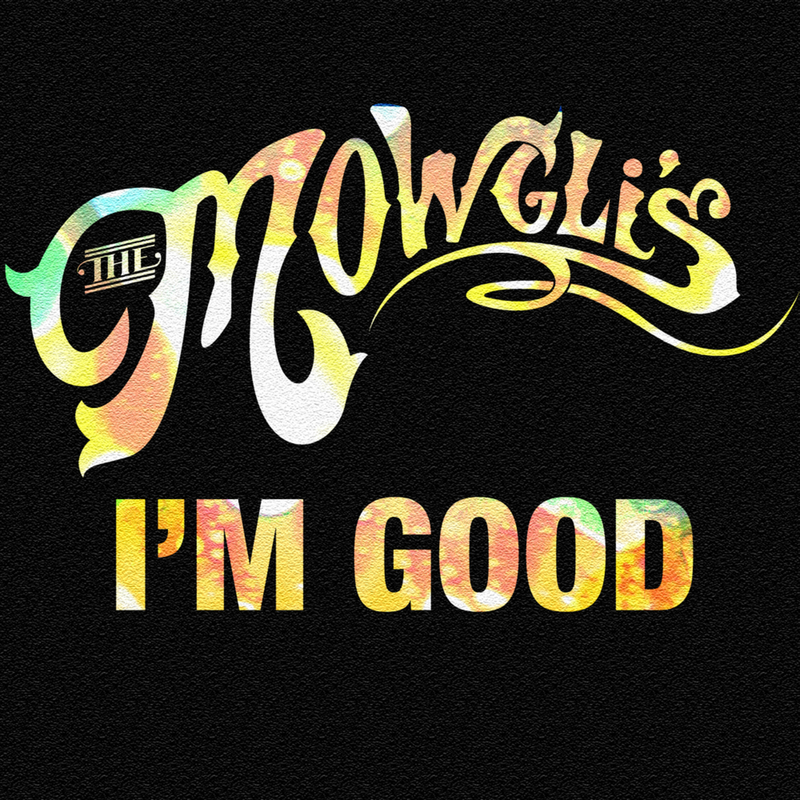 For those not as familiar with The Mowgli’s and your music, how did you get your start in music? Who or what was the catalyst for you to want to start a band with one another? Well most of the guys were in bands prior to The Mowgli’s. For guys like Colin and Josh, music is and has been a part of who they are. They would be doing music no matter what and had been for a long time before the band started. I was working behind the scenes in television and doing comedy/improv on the side. I also did backup vocals for some friends in LA, but nothing too serious. I’ve always sang so when one of the guys asked me to come over and sing on a demo, I was excited for the creative opportunity! Soon I was singing on all the demos and writing with the boys too. 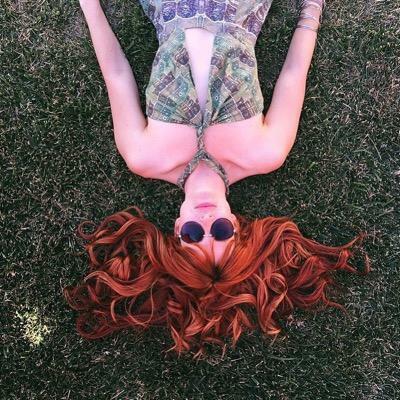 One by one, people came over to lay down their talent on the songs we had written and demo’d (…Matt came over to track bass, Dave keys, Spencer and Josh guitar and vocals…)…and soon we were playing the songs at bars across LA.. Boom: Next thing you know, we’re 6 years deep in with The Mowgli’s! 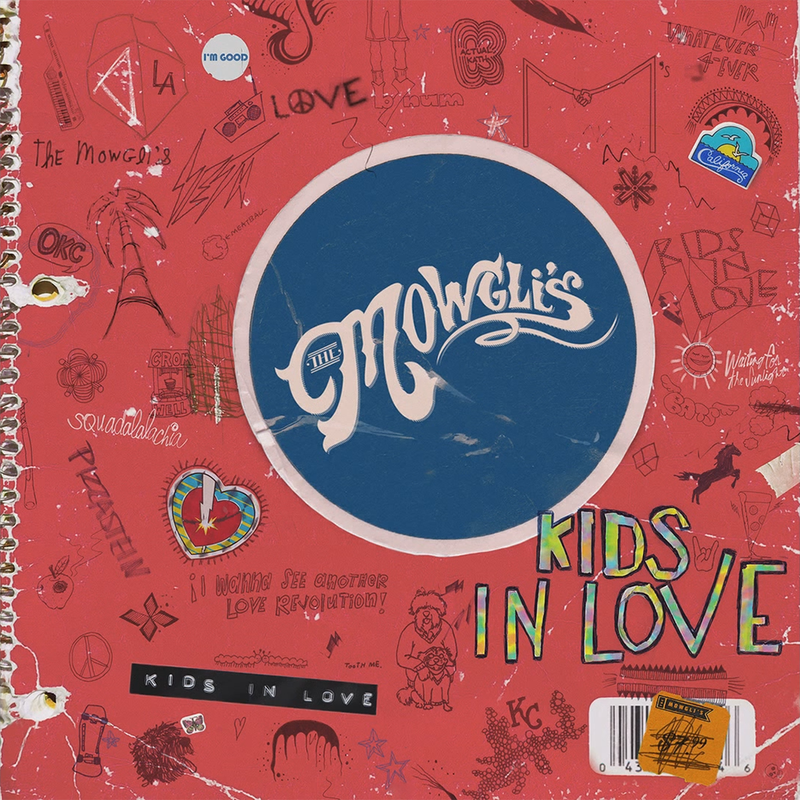 You guys just released your second major label album, Kids In Love (April, 2015) What did you learn between albums and playing live that you felt you wanted to infuse into Kids In Love? I think we learned a lot about who we are both as a unit and as individual artists. We learned what we loved about playing live and we learned exactly what it was we wanted to convey. We dissected our message of love, and at the bottom of it, we found that we all had a shared desire to make music that reminded people that they are not alone in whatever it is they are feeling. What was the inspiration for your latest single, “I’m Good”? How did that song come about? That song was written with some other artists for an anti-bullying online campaign. Once the song was completed, our team decided it was a perfect anthem for The Mowgli’s: a song that promoted self-love, kindness, a reminder that other people have felt the same pain as you, the message that we have all been there, and we are all in this life thing together. I also understand the video for “I’m Good” was shot in one of my favorite places, Joshua Tree National Park. How was that shoot? Did you help come up with the location and treatment for the video? We love Joshua Tree but it was actually shot in Lancaster – but there WERE Joshua trees there. The amazing film makers we worked with picked the location. Do you remember the first album you bought for yourself? It was Alanis Morisette’s Jagged Little Pill on cassette and I probably was too young to have bought it with my own money. I listened to it non-stop. My first CD was No Doubt’s “Tragic Kingdom” and I played the hell out of that too! What was the first song you fell in love with and why? Probably something by the Beach Boys. I remember my mom driving by the beach listening to oldies and all of those songs take me back to those moments with her on PCH (Pacific Coast Highway). Who is in your current playlist? Any artists, musicians or genres we might be surprised to find in there? I’m always and forever listening to “Graceland” by Paul Simon. It’s my favorite album ever. What’s on tap next for you guys? What are you most excited about in 2015? A little bit of time off, more hard work, and hopefully, with fingers crossed, touring outside of the U.S. It’s a long time dream of ours to tour the world and after about 3 years straight of touring the states, we’re ready to bring our message and music to another continent. To learn more about THE MOWGLI’S , visit them HERE . 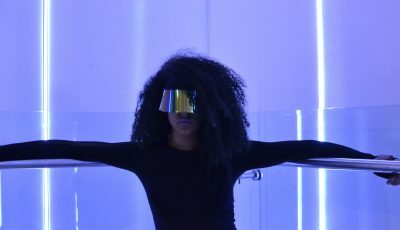 LA Based Makeup Artist, ASHLYN MELANCON, Reveals What’s It’s Been Like Working With Artists Like CHILDISH GAMBINO, USHER and More! Known for Mixing Songs By All The Top Artists, The DJ Extraordinaire, DRAPER, Breaks It All Down For All Access!